Facts on the ground show that Israel’s investment in the occupied West Bank is much more than the one inside the occupied 1948 borders. Within this context, the Israeli government allocated NIS 417,000,000 for developing settlements, in the Dead Sea area, in order to attract more settlers, expand the settlements outside the Green Line and Judaize it. According to the above information, the budget is not allocated to remedy the Dead Sea drought, but to strengthen and support the settlement outside of the Green Line, within the so-called “Regional Council Megillot”, north of the Dead Sea, which means expansion under the slogan of development of tourism and maintenance of road no. 90. In turn, Head of the Tamar Regional Council and a member of Kibbutz Ein Gedi, Dov Latinov, said the decision will serve as a lifeline to save the Dead Sea and to further develop the settlements there, as the sea is an irreplaceable national treasure,” after the government decision. According to the PNN, the Jordan Valley region is considered part of the Afro-Asian crater pit, one of the lowest in the world, located at a low of about 380 miles below sea level. The Palestinian Jordan Valley stretches along the eastern side of the West Bank, from Ein Gedi (the Dead Sea) southward, to the so-called “Tal Makhkhoz”, on the borders of Bisan, northward inside the Green Line, and from the Jordan River in the east to the eastern slopes of the West Bank of the Jordan Valley in the west. This area accounts for 28.5% of the West Bank 2,400 sq km. Settler profits through investment in the northern Jordan Valley amount to $ 650,000,000, annually. At the same time, the attacks and violations of the “pay the price gangs”, against Palestinians and their properties, escalated under the protection of the occupation government and silent encouragement from the American administration, during the past week. These terrorist groups carried out several attacks, including those perpetrated against the the eastern village of Lubban, attacking citizens’ property and assaulting farmers from the village of Madma, during the plowing of their land, and forcing them to leave by way of tear gas bombs. Moreover, they assaulted the villagers of Al-Tawana in Mafassar Yatta, threw rocks at them, attacked a school bus in Yatta, resulting in the injury of 13-year-old Ahmed Abu Aram, as well as assaults on students in the Salameh neighborhood, in the Old City of Hebron, puncturing the tires of 45 vehicles in the village of Burqa, east of Ramallah, and cutting down about 100 olive fruitful trees in the village of Burin, south of Nablus, and 15 others in the Urief village. Within this context, the occupation Attorney General decided to abandon the confessions of the perpetrators of the arson attack on the Dawabsha family, in the village of Douma, south of the city of Nablus, 2 years ago, under the pretext that the confessions were illegal because they were obtained in an unusual way. Moreover, the Israeli Kern Keimet Fund decided not to allow the establishment of a memorial for Mohammed Abu Khdeir, who died after he was burned alive, in a crime committed by 3 Israeli settlers in July of 2014, in a forest around Jerusalem. On the other hand, the 3rd annual report of the Palestinian Center for Israeli Studies (MADAR), on the “Register of racist and supportive laws for the occupation and settlement,” finds that the situation has been escalated, and even accelerated, by the Israeli right to enact legislation aimed at consecrating Israeli control of as much of the West Bank as possible. During the 3 years of the parliamentary mandate of the Knesset, 185 laws were enacted, including 54 that were passed or entered into legislation. This clearly implies the involvement of the Knesset in imposing racist legislation aimed at restricting Palestinian citizens and controlling their land and property. 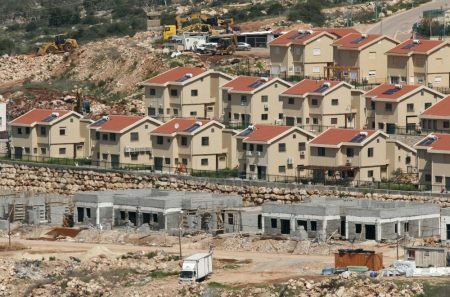 Pal Legislation on the Judaization of Jerusalem and legislation on settlement expansion, since the beginning of the Knesset’s 20 mandate, has dealt with 43 laws for the direct and indirect annexation of the occupied West Bank or settlements. The most important laws that have finally been passed are the Land Grab and Land Privileges Law, the Law for the Consolidation of Jerusalem, the Israeli Higher Education Law on Settlements Institutes, the University in Ariel, and 2 other academic colleges. The National Bureau said that the positions of US officials helped in radicalizing the behavior of Israelis in general, and settlers in particular, and pointed out that the new escalation in attacks and violations of the terrorist “paying the price gangs” would not have continued seriously in the last few days and weeks, otherwise.